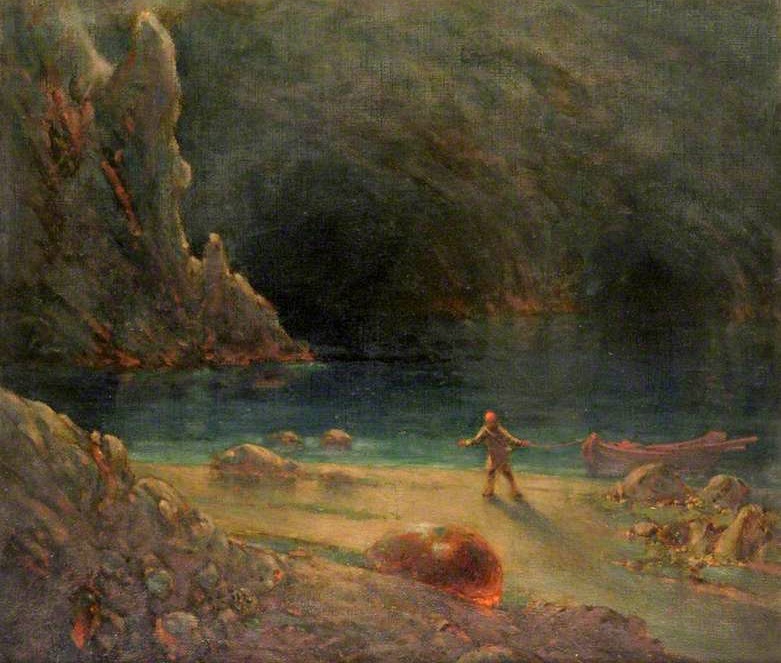 Detail from The Great Carbuncle, undated, oil on canvas by British artist William Sidney Goodwin (1833–1916). Click on image to see full painting. Image courtesy of The Athenaeum. The author of this rave notice was Henry Wadsworth Longfellow—and it is not a coincidence that he had been one of Hawthorne’s classmates at Bowdoin College. A sterling student and prodigy from one of New England’s leading blueblood families, Longfellow was three years younger than Hawthorne, who in contrast was the first of his family to go to college and who (as professor Rita K. Gollin reminds us) “incurred fines for cutting classes or playing cards or skipping compulsory prayers or declamations.” The two students never really got to know each other—even though there were only thirty-eight men in the class that graduated in 1825. Yet when Twice-Told Tales was published twelve years later, Hawthorne sent a copy to Longfellow, who had just published his own first book and joined the faculty at Harvard. 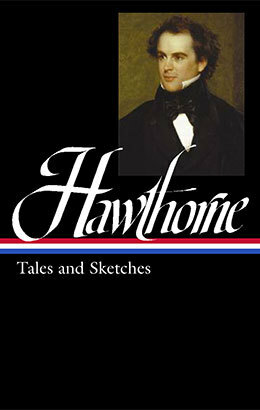 In the cover note Hawthorne admitted, “We were not, it is true, so well acquainted at college that I can plead an absolute right to inflict my twice-told tediousness upon you; but I have often regretted that we were not better known to each other, and have been glad of your success in literature and in more important matters.” Longfellow had in fact already read many of Hawthorne’s tales when they were “first told” in the pages of various magazines, and he promised to review the collection soon in the North American Review, the influential journal to which he was a frequent contributor. When the review appeared, Hawthorne was ecstatic by Longfellow’s glowing critique and wrote immediately to him. “Whether or no the public will agree to the praise which you bestow on me, there are at least five persons who think you the most sagacious critic on earth; viz., my mother and two sisters, my old maiden aunt, and finally, the sturdiest believer of the whole five,—my own self.” The exchange of letters—not to mention the review itself—resulted in a lasting friendship between the two authors. A number of other critics agreed with Longfellow about “The Great Carbuncle,” but none of them was more important to Hawthorne’s biography than Elizabeth Palmer Peabody. She wrote in The New-Yorker (a weekly newspaper) that the story “combines the wild imagination of Germany, and its allegoric spirit, with the common sense that the English claim as their characteristic; and these diverse elements are harmonized by the reliance on natural sentiment which we love to believe will prove in the end to be the true American character.” If Longfellow’s review gave Hawthorne a lifelong friend, though, Peabody’s review probably helped him meet his wife. She was already a fan when, not long before her notice appeared, Hawthorne visited the Peabody home. When he arrived, she ran upstairs to her invalid sister, Sophia, and reportedly exclaimed, “You never saw anything so splendid as he is—he is handsomer than Lord Byron!” Sophia stayed put and was said to have retorted, “If he has come once he will come again.” Nathaniel returned to the Peabody home after Elizabeth’s review appeared and eventually did meet Sophia. They were married in July 1842. 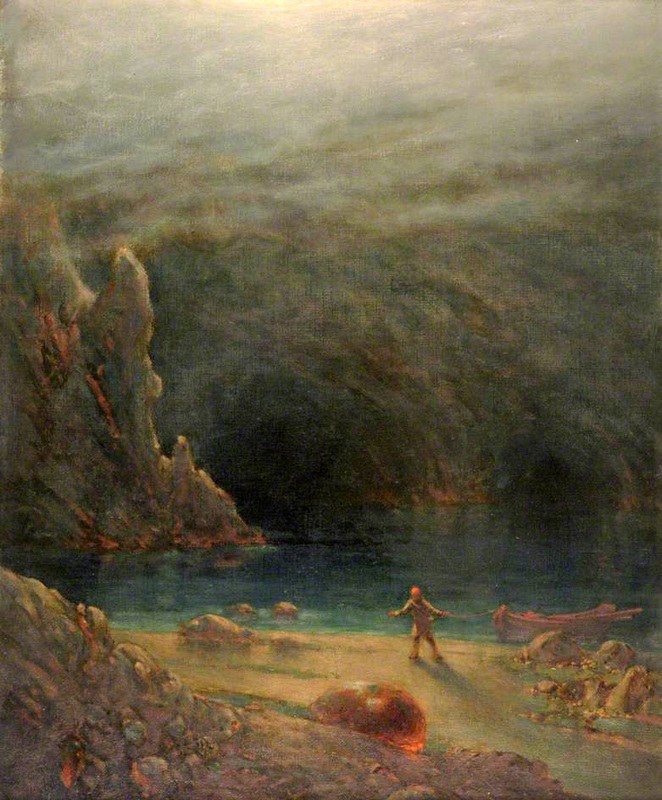 So it is perhaps appropriate—if entirely coincidental—that the two main characters of “The Great Carbuncle” are newlyweds setting off “to realize their dreams.” On a bit of lark for their honeymoon, they have joined a motley crew of travel-worn adventurers who seek to find the legendary gem that that is said to be hidden in the White Mountains of New Hampshire. At nightfall, once, in the olden time, on the rugged side of one of the Crystal Hills, a party of adventurers were refreshing themselves, after a toilsome and fruitless quest for the Great Carbuncle. . . . If you don't see the full selection below, click here (PDF) or click here (Google Docs) to read it—free!